Asia Bike is expecting 66 per cent more exhibitors in its second year. Taking place alongside Asia Outdoor from July 26th to 29th, over 33,000 visitors are expected in the Asia Bike Halls. Asia Bike has two days for the trade and two for the public, last year launching with 138 exhibitors including industry heavy hitters like Shimano, Specialized, Look, Merida, Cube, BMC and Cervelo. 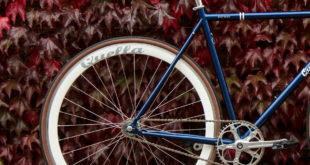 New additions for 2012 include, amongst others, Bergamot, BH, Bianchi, Corratec, Mercedes Smart, Haibike, Staiger, Hercules, KTM, Pinarello and Wheeler. 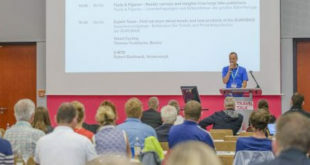 Considering Asia Bike’s Eurobike connection it’s no surprise the show features fashion shows, forum discussions, press conferences nd the like. Test centres for MTB and road bike will feature, as will a ‘Show in the Show’ exhibition of luxurious and expensive bikes – a growing segment for the territory, the show organisers explain. 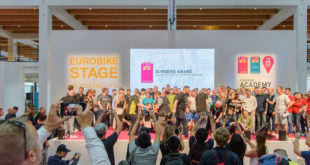 “That fact that 75 percent of exhibitors come from abroad shows how much the international bicycle industry is focusing on the emerging Chinese market for luxury and sport bikes,” claimed trade show chairman Knut Jaeger. Estimates put the total value of the bikes on show in the special exhibition at 7‑8 million RMB (around £805,000). Sadly details of how many bikes that total is spread across is unclear. According to a statement from Asia Bike, buyers of high-end sport bikes are high-income earners who want to do something for their health, having already spent on education, accommodation and a car. Foreign brands seeking local distribution partners – or expanded production capacities in China – will be able to make use of Asia Bike’s free Business Matchmaking programme, linking up compatible businesses. In contrast to the outdoor market, there are no reliable statistics for the bicycle market in China. This is especially true of the still-emerging sport bike segment. Despite many major market players claiming a boom in the bike market in China over the past few years, there are no reliable statistics in the country – like the UK. Asia Bike said: "The best current indication of actual volumes can be found in the explosive growth of brand-carrying stores. For 2012, reports show Giant at over 2,000 stores and Merida at 1,000 stores. 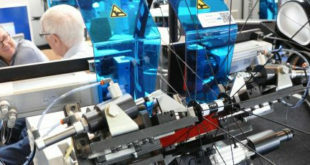 Trek and Specialized have also been reporting growth of 30 to 40 percent in 2011 and 2012."